TypeApp is an all-free, beautifully designed, universal email app, capable of managing unlimited number of email accounts from almost every provider, allowing for smart push notifications while enabling personalization across multiple email accounts. TypeApp is the perfect replacement for your email app. 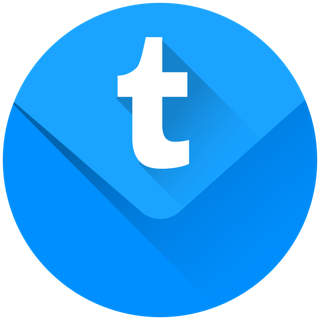 With a powerful unified accounts experience packaged in an intuitive and easy to use design, TypeApp provides a top notch email service. Update: Had to delete the app. Was my favorite for years but now I cannot seem to get my emails to sync anymore (gmail, yahoo, outlook). Horrible update. I have a gmail address for work and one for home. I had to use my favorite email app Spark for work because I needed certain features that — interestingly — nobody else seems to offer (like BCC alternate address so that I can send to my CRM). Yes, I want separate email programs for work and personal so that I can keep them separate and not be distracted by either. I really wanted to like this app for personal. I don’t know if BlueMail is by the same company or not but boy do they have so similar looks — except this has smaller icons that I think appears cleaner. The only problem is the gmail delay: this same thing happens with Apple mail where I delete gmail emails, close the program, and the email comes back. Ugh! There are a lot of things to like here, though, so if don’t have gmail or don’t experience this delay issue, give this a try. Me? I search for another: Edison seems promising. Maybe I’m missing something but this app isn’t doing what it use to. Pressing the avatar on the left of the email use to bring up all of the emails of that same source, which made email maintenance super quick. Now, on my iPad or iPhone, no matter where I press on the email, it opens up the email only. What am I missing? Without that feature, for me, I may have to go back to using the stock email app. Update: since my initial post, the developer has fixed the avatar issue. Email maintenance is a breeze once again..Came back to Typemail after a few years and it's on top once more.